We’ve previously written about Graco Equipment’s rock solid reputation in the spray foam and coatings industries for manufacturing dependable, reliable products that are built to last. Graco’s foam fusion guns are no exception. 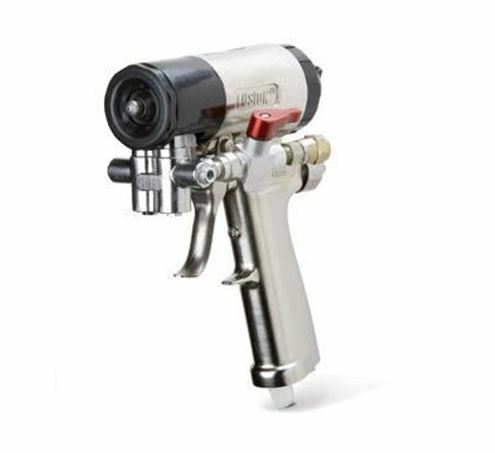 For example, the Graco Fusion CS Spray Foam Gun is a contractor favorite for many reasons, most notably for the reduction in cleaning and downtime. Graco’s Clear Shot technology and disposable cartridge keeps the mix chamber clear, saving you the headache and valuable hours of cleaning and maintenance after every time you spray. Flow settings on the Graco Fusion CS are customizable, and allow for up to 10 different selections. The consistency and performance of Graco products is why Intech Equipment and Supply is one of the top distributors of Graco products in North America, ranking inside the Top 20 in 2010, 2011, 2012, 2013 and 2014. The Graco Fusion CS spray gun line is yet another great example of the design and reliability that can be expected from Graco Equipment. 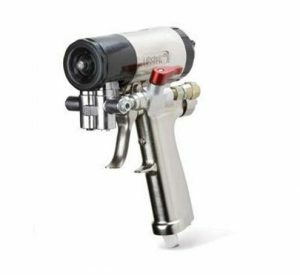 An added bonus: you can build your perfect Graco Fusion CS Spray Foam Gun with easily interchangeable parts and expert service via our website.